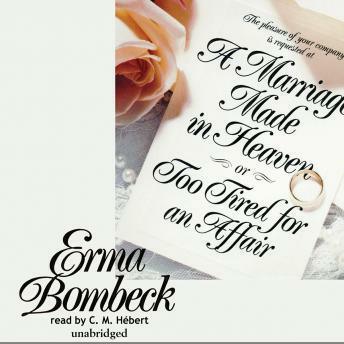 Listen to "A Marriage Made in Heaven, or, Too Tired for an Affair" on your iOS and Android device. For those that give Erma a low rating with it's boring! You are either too young and not old enough to appreciate her stories and have no life experiences with a family life of your own. She was one of the for runners for woman writers. And for her day and age she did pretty darn good! For those who don't know it, Erma passed away not too many years ago with kidney failure. Her humor for family life keep us all going and their for in her memory I give her a high rating. I love Irma. What more can anyone say? Such a cute story - the reading was great - totally enjoyable! A good choice for Erma fans. Was a good synopsis of her life and humor. There were places that seemed a bit redundant, but is a definitely nice light-hearted selection. I would and do recommend it.